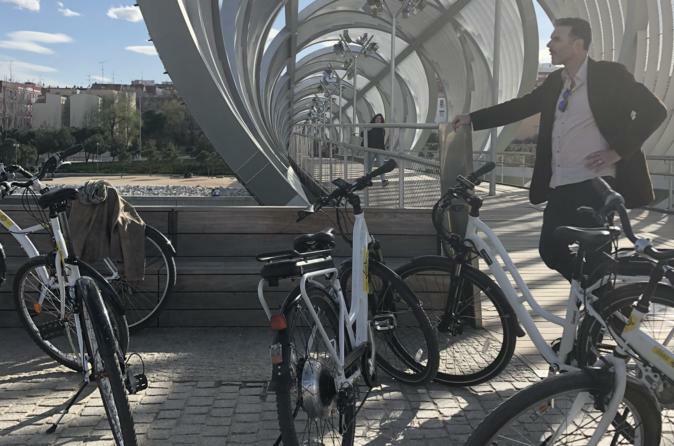 Look around, exercise a little and locate two of Madrid’s green areas: Riverside and Casa de Campo. Last decade’s biggest urban project: The Riverside. Nearly 27 miles (43 Km) of our first beltway got buried so that we could get a long ride along the riverside for 4,5 miles (more than 7 Km). Take a deep breath and ride along the riverside up to the old Slaughterhouse, actually converted in an exhibition center. We still will be able to see the old Atlético de Madrid’s Stadium: Vicente Calderón built over the first beltway. We expect it’s demolition by summer 2018, hurry up if you still want to take a picture of it! Bridges, gardens, fountains and … La Casa de Campo, a huge green area where you can get the best pictures of our historical skyline, train your legs or catch some fresh air!